Remember Cuil? It was that stealth search engine that launched with a massive amount of buzz because a few former Googlers were behind it. Then it got even more press when it fell flat. Well, it’s still around. But you never hear about it anymore. 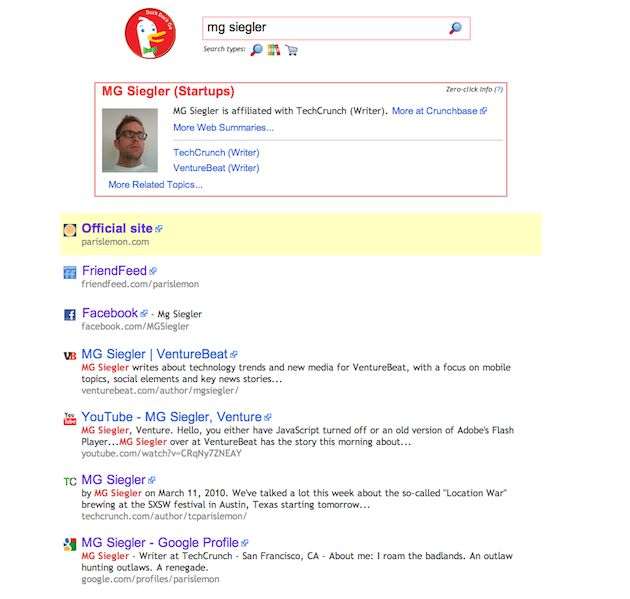 Still, it got all that press whereas plenty of other search startups hardly get any. So one of those came up with a cute gimmick. 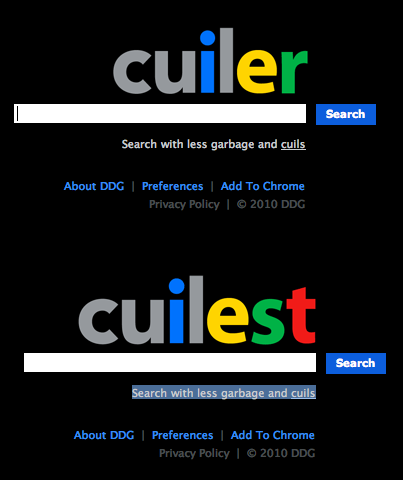 The search engine Duck Duck Go has obtained the domains Cuiler.com and Cuilest.com to give itself a cooler front end. Smart move. After all, it put it on my radar, and after trying out the engine, it seems very, very solid. It’s a simple engine that doesn’t clutter its pages with unnecessary results. It offers tailored results for regular search as well as information, and shopping results. And, for the adventurous types, there’s an “I’m feeling ducky” button. And, unlike Google, the service says it keeps no information from its searches.